You know what they say about parties right? If you can't go to one, bring it home! And who better than our own desi girl Priyanka Chopra to show us how. In case you happened to not take notice (because weekend) we will bring you up to date. The 61st Annual Grammy Awards took place just a few hours back, giving us some major fashion outings and moments as the nominees and celebrities supporting them made their way to one of the biggest events of the year. There were also some outlandish fashion moments you wouldn't want to see again, but all else way in place. 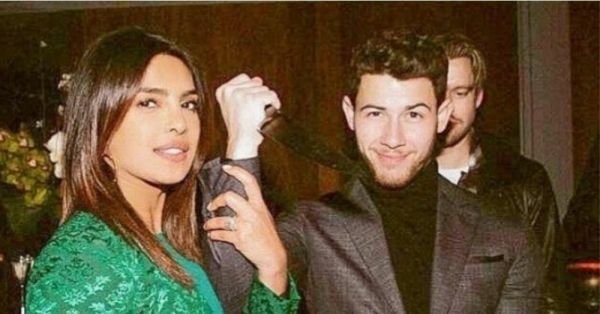 Speaking of fashion, we didn't get a chance to see Priyanka Chopra who gave the event a miss. 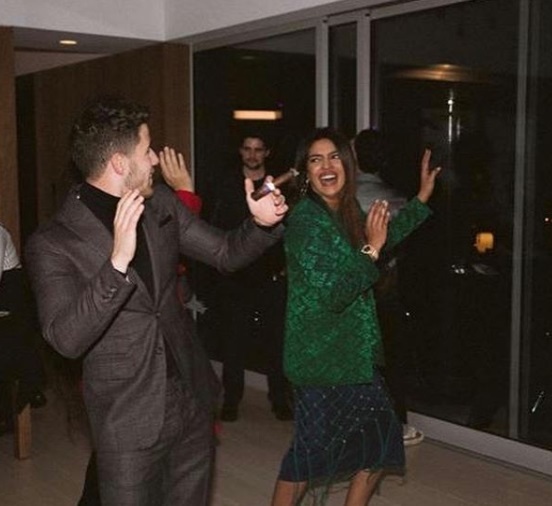 But that doesn't mean there wasn't a party, because PeeCee knows how it's done! 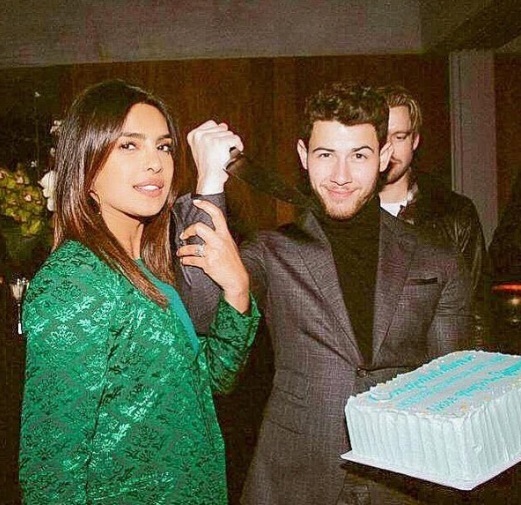 Hosting a couple of friends and celebrating their nominations for the 2019 Grammys along with Nick Jonas, Priyanka Chopra gave us an inside look into the big night of her own via her Instagram. Needless to say, there was some serious posing involved, as is the case when the Hollywood biggies gather under one roof. 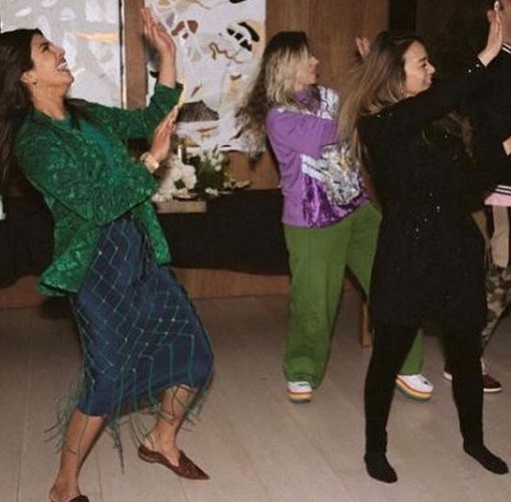 And as is the case with any major rager, PeeCee made sure there was some serious Bollywood style dancing involved. 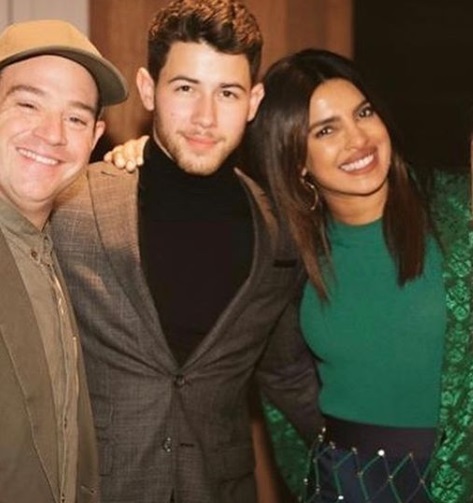 Keeping her fashion game on-point, the hostess wore a green sweater layered with a chic blazer of the same colour. The intricate tone-on-tone detailing made for an impactful appearance we can always expect from the actress and global style icon. In addition to keeping her monochrome game strong, PeeCee wore a midi skirt in a navy tone of colour, layered with mesh detailing in green. Brown mules formed the accessory of choice, a comfortable option for dancing indeed! 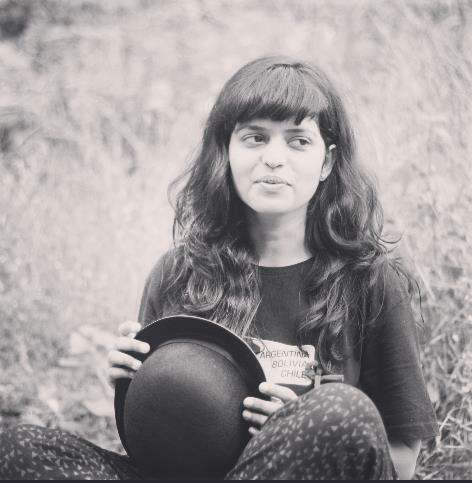 Further, the actress made sure to wish her friends for their respective nominations. "What a great night celebrating our friends who are nominated for the Grammys.. good luck to everyone tonight!! ❤️🙌🏽", she wrote on her Instagram. Ain't no party like a PeeCee party!